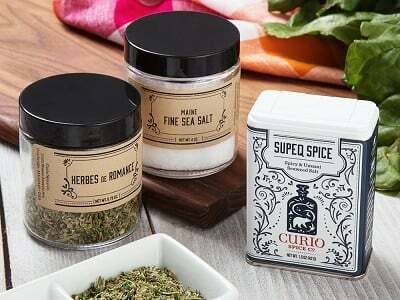 Curio Spice Co.’s roots grow from Maker Claire Cheney’s passion for travel and cooking. 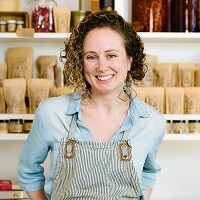 Claire has traveled to over 12 countries to dig deeper into the flavors she loves. 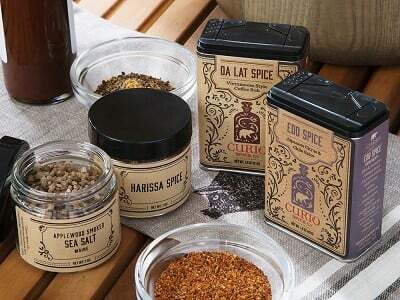 This gave her the chance to experience spices at their source, like saffron in Greece, cinnamon in Sri Lanka, and pepper in Cambodia—which pairs perfectly with her background working in coffee, chocolate, and restaurants. 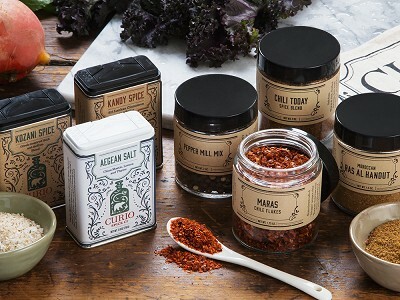 All of this discovery (and hard work) culminates in a bespoke spice shop that can proudly boast close relationships with the growers and farms that are the base for Claire’s unique spice blends. 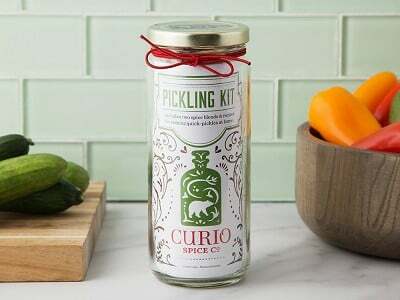 Claire does a lot of the work for you by crafting well-balanced blends that will help make your cooking and baking shine, from curries to grilled dishes to DIY pickles. 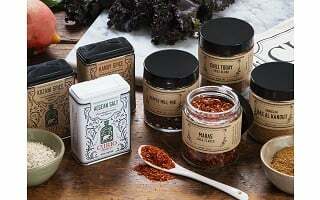 She sources locally when possible to ensure quality and freshness, and around 90% of the spices are certified organic; half are Fair Trade Certified. She even includes recipe cards to get you started. 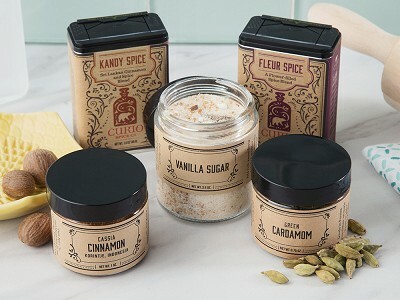 We appreciate Claire’s first-hand, hands-on approach to spices and how easy she makes it for folks to try new flavors and take dishes in a new direction. 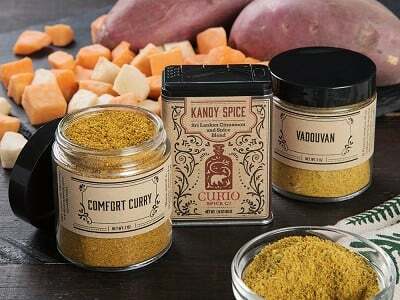 Do the spices come with recipes? Yes, each set comes with recipe cards to help you get started. 90% of the spices used are organic. 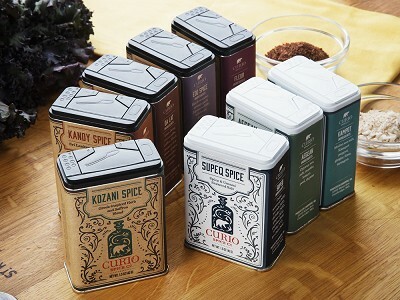 Organic spice production ensures that no herbicides, pesticides, or synthetic inputs were used to grow or process the spices. Are the spices Fair Trade? 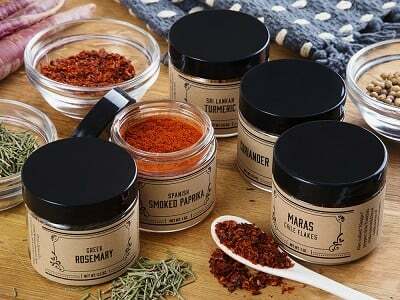 About 50% of the spices are Fair Trade Certified. Fair Trade Certified products are guaranteed to meet environmental, social, and labor standards set by organizations such as FLO-CERT.